I have a great recipe for you today! It can be prepared ahead of time, so dinner time is a breeze! It is simple to make, but the presentation is downright elegant. That can be important on a busy summer day. Like today. I have so much to do today. My morning started at 4 am! 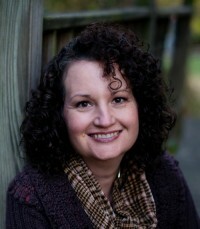 I am on my way to pick up my teenage daughter from a camp she attended this week three hours away from home. We will pick her up, grab some breakfast and then the real work begins. We are headed to the lake! Time to work on knee boarding, wake boarding, jet skiing and water skiing. I could add that we will be tubing, but that is not work. That’s just crazy hanging on while my hubby does everything he can to throw us off. We love water sports! After a long day at the lake it is nice to come back and have a nice meal, and this one is perfect for days like these. When we had this at the lake last week, I had the steak rolled and tied in the fridge in the morning. When we were done, playing (I know earlier I called it “work”. 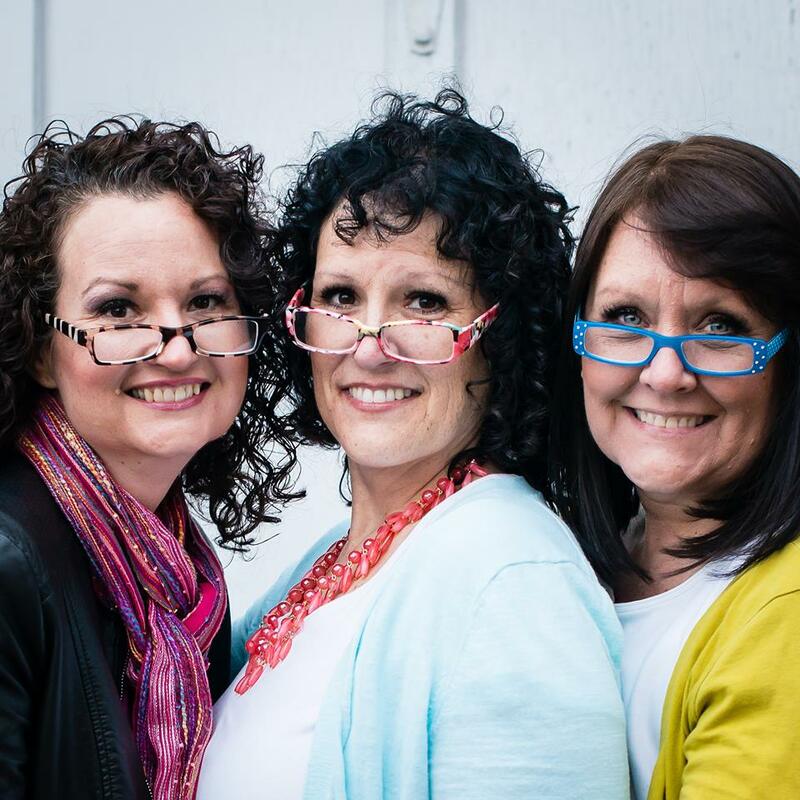 I am getting more honest as the post goes on! ), we soaked the skewers while the grill warmed up. 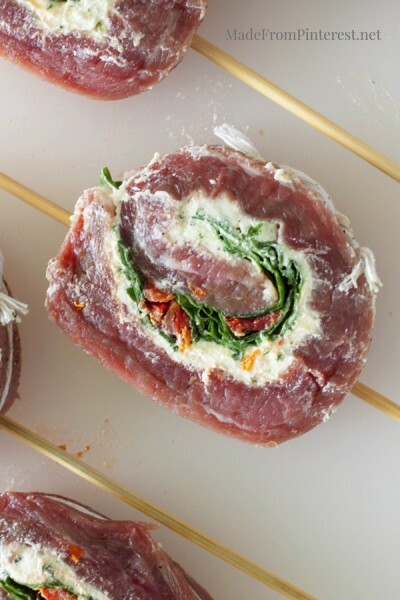 After I put the skewers through the meat, I cut it into individual pinwheels or rolls on either side of the skewer. Already they look delicious! 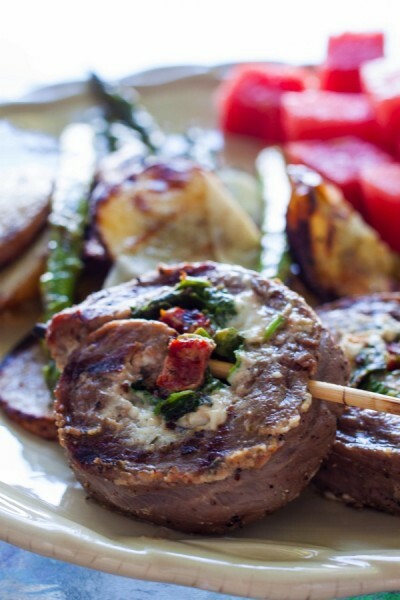 Then just lay the Stuffed Flank Steak Kabob on the grill and cook through on each side. And dinner is done. And you look like a culinary hero! Which you are, or will be when you make these Flank Steak Kabobs. Lay the steak flat and make some shallow cuts across the grain, and pound flat between two sheets of plastic wrap. Season with salt and pepper. Spread ⅔ container of Boursin cheese. 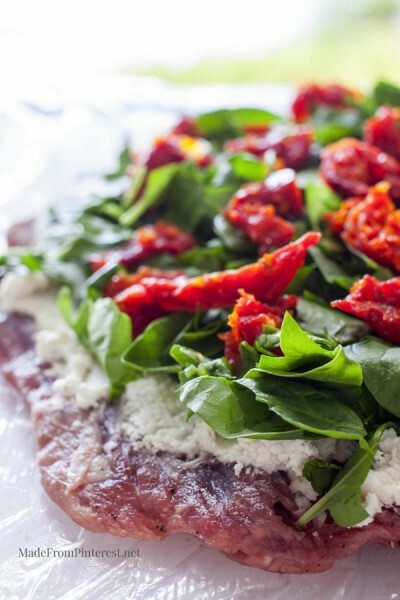 Top with spinach and sun dried tomatoes. Roll tightly and wrap with plastic wrap. 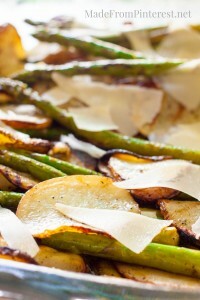 This dish may be cooked immediately, or stored in refrigerator for 12-15 hours until ready to grill. Tie with butchers twine every 1"-1½" apart. 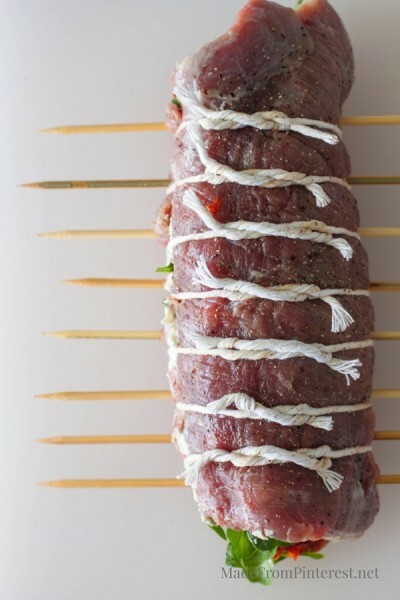 Place soaked skewers in the meat next to the twine. Cut on either side of the skewer and butcher's twine. Oil the grill and bring to high heat. Drop to medium. Grill each side 4 - 5 minutes for a medium doneness, longer if you want them more done. Remove twine and skewers before serving. 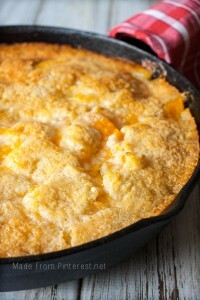 Two Two Easy Peach Cobbler.